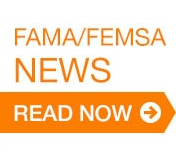 The Fire Apparatus Manufacturers’ Association (FAMA) has a goal to advance and protect the interests of the fire and emergency services community. While not everyone in the fire service will agree on what those best interests are, we can all agree that good decision making begins and ends with good data. 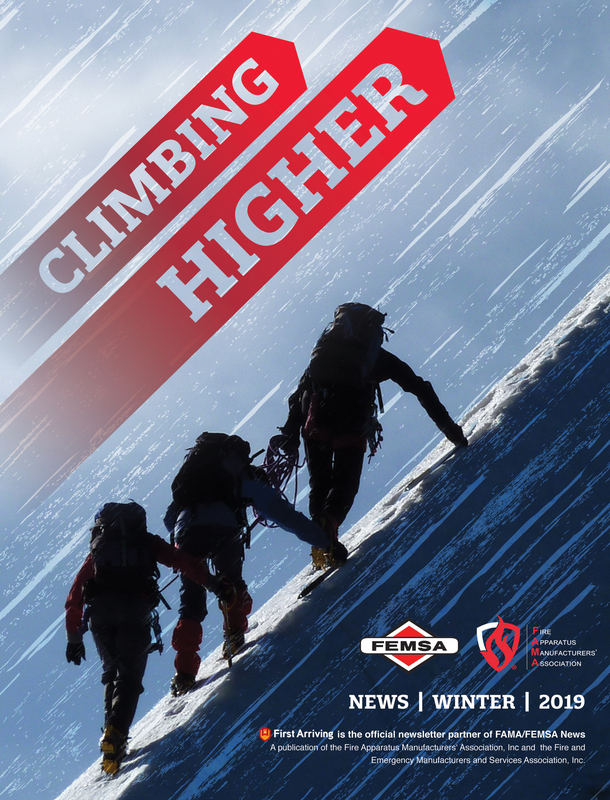 For that reason, FAMA is excited to highlight the publication of data from a recent National Institute for Occupational Safety and Health (NIOSH) study on firefighter anthropometric measurements. Anthropometry is a fancy word for the study of human body measurements. This seems like it should be straightforward and simple. We all get measured for height at each doctor’s visit. Gather the height measurements from a group of people, and you can quickly determine the average height of the people in your group. But, very rarely does a single dimension give the complete picture. For example, while two people may be the same height while standing, they will not have the same head height when sitting in a chair. This is because we all have different shapes: long legs and short torso, short legs and long torso, average legs and torso but long neck, etc. If you are trying ensure that your equipment fits your personnel, a single data point is rarely sufficient. This is where anthropometry steps in. There are specific anthropometric measurements for just about every aspect of the human form. These measurements can be obtained through physical methods using rulers, T-squares, and the like. Or, they can be obtained by computer body scanning. The NIOSH team used both methods, and the result is a list of 71 discrete measurements for male firefighters and the same number for female firefighters. The usefulness of this data is increased by using statistical methods that allow us to determine the likelihood that a group of firefighters will fit a particular value. 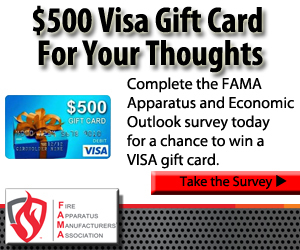 FAMA stepped up in 2006 when the International Association of Fire Chiefs (IAFC) challenged the industry to make seat belts that fit the firefighters using them. We partnered with fire departments to collect data on firefighter size and weight, which lead to the publication of the FAMA “Firefighter Anthropometric Data White Paper” the following year. This data was used by apparatus manufactures as well as the National Fire Protection Association (NFPA) apparatus committee to set new standards for seat belt length. While this data collection was less rigorous than the protocol used by scientific agencies, the information was more timely and accurate enough for the purpose at hand. At the same time, the IAFC and FAMA began lobbying NIOSH to conduct a more comprehensive study of firefighters. NIOSH is a government agency funded by Congress to perform basic research in support of efforts to improve U.S. worker safety and health. NIOSH does not set standards or regulations, but the research it conducts may be used by regulatory and standard creation organizations. NIOSH eventually obtained funding for the firefighter study and, in 2015, the first look at part of the data was published as an article in Applied Ergonomics titled “Seat and seat belt accommodation in fire apparatus: Anthropometric Aspects.” The data in its complete form could not be published until they were thoroughly vetted and peer-reviewed by the scientific community. That process, however, has now been completed and the entire set of data is available to the public. One practical application of the data is deciding on the length of the crew cab on a new apparatus. Most manufacturers offer several crew cab lengths with numerous set and emergency medical service cabinet configurations. In the flurry of specifying your rig, it is possible that the issue of leg room in the back could get overlooked, or the tradeoffs may not be adequately considered. You must first decide which portion of the firefighting population you wish to accommodate. The data are presented for percentiles ranging from one to 99 percent. The 99th percentile means that 99 out of 100 firefighters will be that size or smaller. The 50 percent value means half of firefighters will be larger and half will be smaller. While you may wish to accommodate the largest firefighter possible, most vehicle designers choose to compromise. I am writing this article on an airplane, and I can state without fear of contradiction that Boeing, for instance, does not create seating that accommodates the 99th percentile of the general population. Your next step is to find the specific dimension from the NIOSH data that is applicable. In the case of knee room, you would refer to the “buttock shoe tip length, sitting” dimension. This will give you the dimension you would want to provide from the seat back to the first obstruction on the cab floor. If you want your crew to be able to stretch their legs out, then this dimension would have to grow from there. The tradeoff of a longer crew cab is a larger wheelbase and the reduced maneuverability that results. Having your apparatus manufacturer present you with options and making an informed decision based on data will reduce the possibility of disappointments when the rig shows up on the delivery floor. Another useful NIOSH value is the weight of firefighters with turnout gear. The NIOSH researchers asked their subjects to wear their turnout gear including tools in their pockets. The 99th percentile result for male firefighters is 320 pounds. This is above the 250 pounds that the NFPA sets for manufacturers to accommodate each cab occupant. You may wish to consider this when specifying front axle weights if you feel your crew lean more toward the heavy side of the population. These are two examples related to apparatus specifications, but there is a wealth of data in the NIOSH study that may be applied to other situations. You may use shoulder breadth when designing training mazes or grip strength values when considering equipment that requires a trigger grip pull. Hand dimensions are available that may be useful when considering glove purchases, or you might use the data as a baseline for encouraging crew members in their health and fitness programs. Whether you are considering apparatus design or equipment fit, anthropometric data is the baseline for decision making to ensure that the machine fits the man or woman. A basic knowledge of the variability in the human form will help you make more informed decisions when it comes to apparatus and equipment purchases. We hope that you will take the time to check out the data, and make use of it where appropriate. We have a well-established partnership with NIOSH, and look forward to continued cooperation as it works to publish additional research and plan future programs. NIOSH Firefighter Anthropometric Data can be downloaded from the Resource Library at www.FAMA.org.